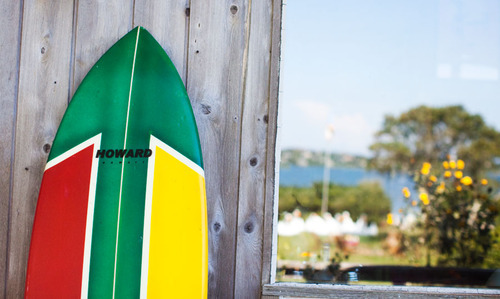 I’m not sure if it’s the sunshine or the summer season, but from fashion to décor, everything that’s catching my eye right now seems to be straight from the surf. Think beaches and sand. Freckles, sunkissed skin, and the coconut-y scent of Hawaiian Tropic. Ocean water drying to a salty finish in the warmth of the sun. Flip flops. Cutoffs. A riot of colour. And spaces where you can flop down on the sofa, rest your beachy waves on a pillow, and not worry about getting sand on the floor. 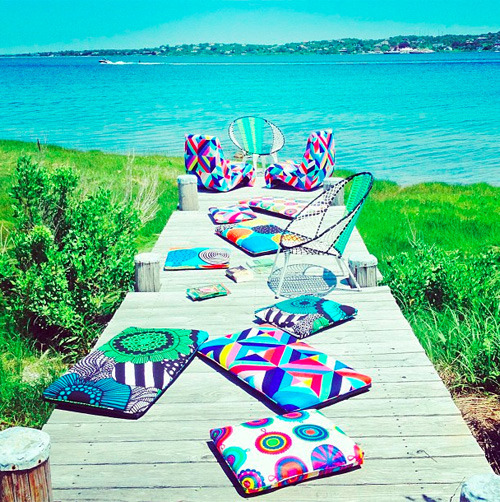 This summer spirit bursts out in living colour, at Chandelier Surf Shack, the Montauk getaway for friends, staff, and clients of Chandelier Creative, an NYC-based creative agency, helmed by Richard Christiansen. As an enthusiastic follower of Christiansen on Instagram (@chandeliercreative), I started noticing the amazing photos that were popping up in my feed. 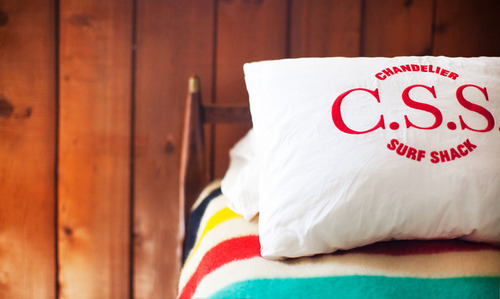 Pillows scattered perfectly on a lakeside dock. 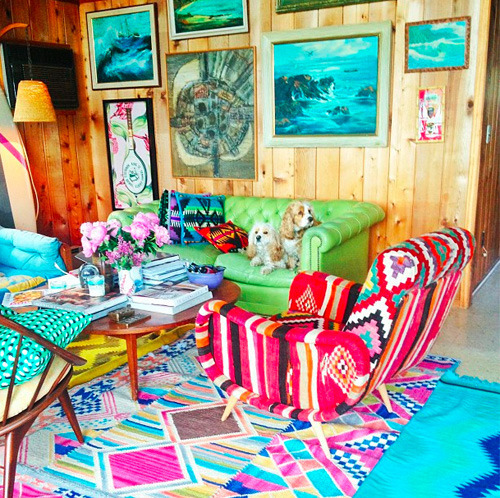 Rainbow-coloured living rooms. 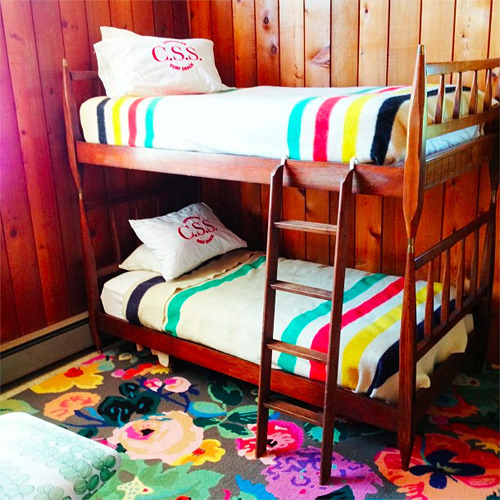 Bunk beds outfitted in classic Hudson’s Bay stripes. 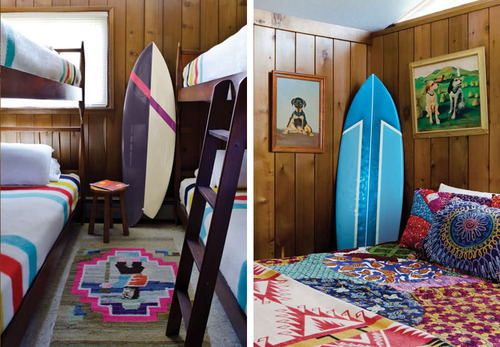 A quick online search revealed several reviews of the Surf Shack, on Trendland, Garance Doré, even The New York Times. 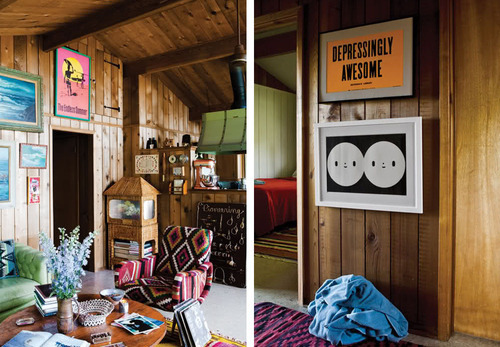 It seems everyone is smitten with this magical space where creativity is encouraged, inspiration is everywhere, and shirts and shoes are entirely optional. And I can see why. 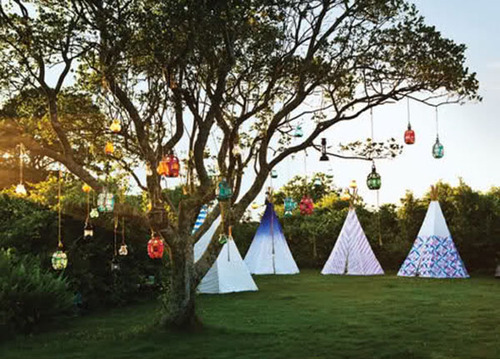 Outdoor movies under the stars, homemade honey from the bee farm, and a lawn full of teepees perfectly suited to an Elle Décor spread – CSS is a dream come true for anyone who loves comfort and design, and doesn’t believe the two should be mutually exclusive. 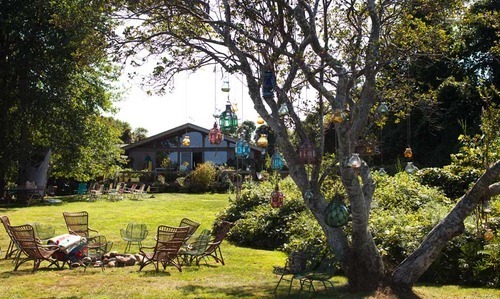 They say that if you put your dreams out into the universe, they may come true, so Universe, HEAR THIS: I would love to visit the Chandelier Surf Shack and experience the magic for myself. Pretty please! 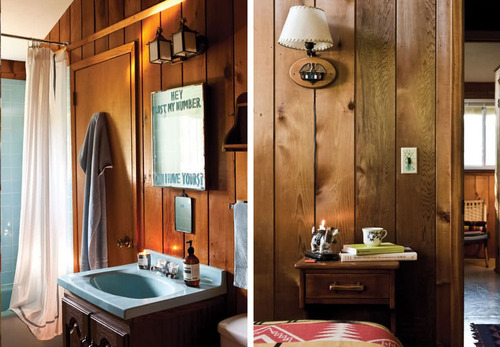 I make a great cabin guest. I make my own bed. I’m not afraid of getting a little dirty. I’m a ringer at campfire charades. I’ll even bring homemade banana bread. I’ll have a bag packed and ready in the event that the invitation gets extended. In the meantime, hang ten.